On Sale Now! 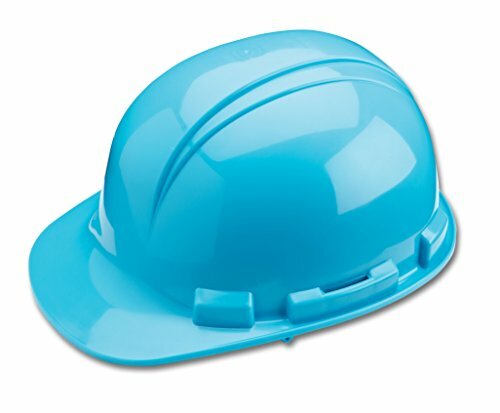 Save 4% on the Dynamic Safety HP241/06 Whistler Hard Hat with 4-Point Nylon Suspension and Pin Lock Adjustment, ANSI Type I, One Size, Light Blue by Dynamic Safety at Defy Now. MPN: HP241/06. Hurry! Limited time offer. Offer valid only while supplies last. Sleek and modern Style lightweight high density polyethylene hard hat to give you and your company the ideal choice in ANSI Type I head protection. Sleek and modern Style lightweight high density polyethylene hard hat to give you and your company the ideal choice in ANSI Type I head protection. Rain Trough and slotted design shell to accommodate all the latest accessories such as hearing protection, face shields, Forestry kits or welding protection. Also attachment points for chin straps etc. Comfortable 4-point Nylon webbing suspensions with pin-lock or our exclusive “Sure-Lock” ratchet adjustment to properly fit all head sizes large or small. Large printing surfaces for company logos on front, sides and back. If you have any questions about this product by Dynamic Safety, contact us by completing and submitting the form below. If you are looking for a specif part number, please include it with your message.